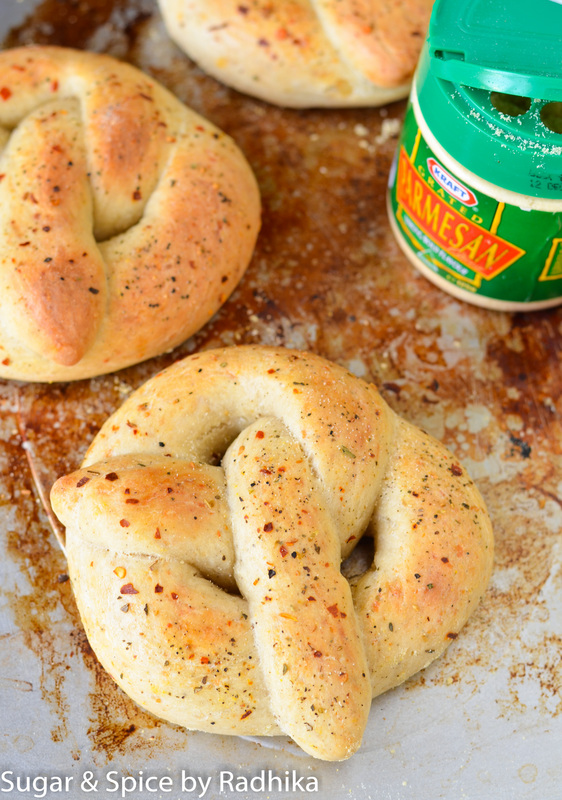 These super soft Savory Cheese Pretzels are perfect for an evening snack. They might look complicated and intimidating but trust me..they’re actually really simple to make! 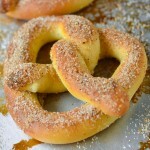 Read on to find out how to make that adorable pretzel shape. 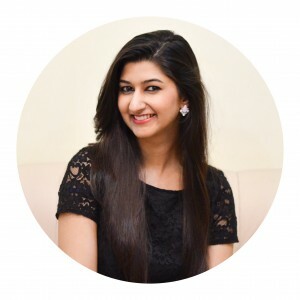 Being a dessert blogger I have an undying love for desserts and all things sweet. 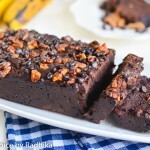 However, there are times when I just want a break and need something to counter all that sugar in my system. Because how many times a week can you have sugar anyway? 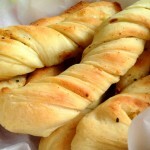 I decided to make soemthing savory..Enter my Savory Cheese Pretzels..perfect snack for for those untimely hunger pangs! They’re not just easy but are also super fun to make…the adorable pretzel shape is surely the winner and I have a small tutorial with pictures to help you get that shape right. It cannot get easier than this! If there’s anything I truly enjoyed eating after my heavenly Corn and Cheese Baked Potatoes..it’s these pretzels. The cheese isn’t overwhelming, you only taste hints of it so it’s great if you’re not a huge cheese fan. They’re perfect as an evening snack and taste best when warm. 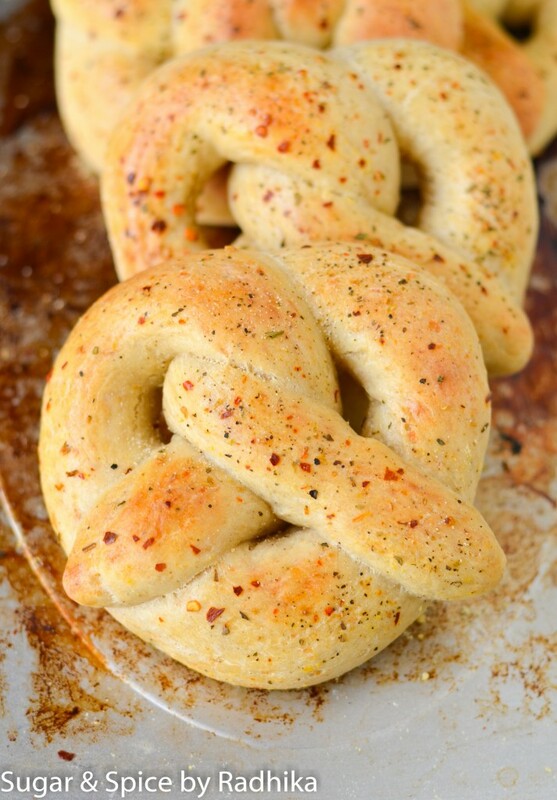 These super soft Savory Cheese Pretzels are perfect for an evening snack. They might look complicated and intimidating but trust me..they're actually really simple to make! 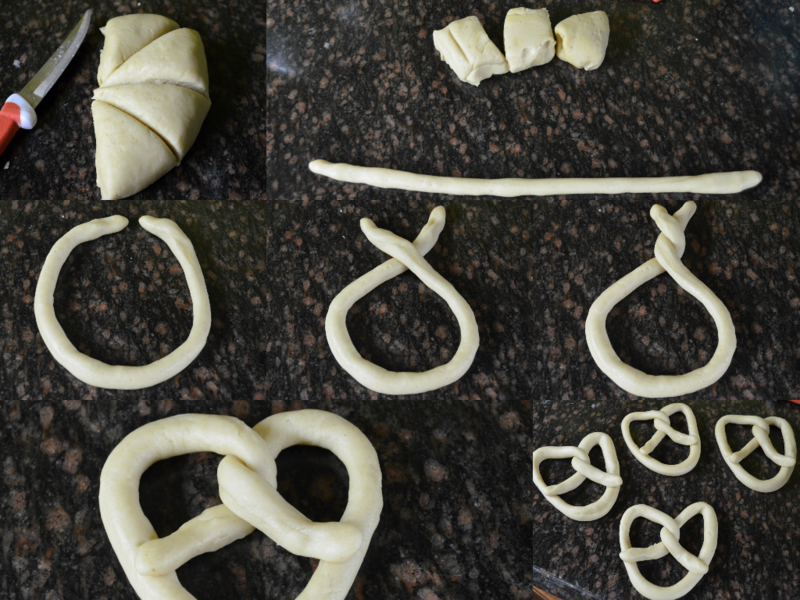 Read on to find out how to make that adorable pretzel shape. *Egg is optional. Brush the pretzels with milk instead if you cannot use eggs. Make the dough: In a glass jar, warm the water for 25 seconds in a microwave and mix in 1 teaspoon of sugar in it. Once the sugar is dissolved, add in the yeast and mix until the yeast is dissolved. Cover the jar with cling film/plastic wrap and let it rest for 10 minutes. In the meantime, mix together flour, remaining sugar, olive oil in a bowl and keep aside to be used later. After the 10 minutes are up, the surface of the water will be all foamy (if it's not start again because it is likely that your yeast has died). Add the yeast water to your flour mix and get it all together to form a dough. Toss the dough ball on a well floured surface and knead it for good 5-7 minutes or until the ball is not sticky. 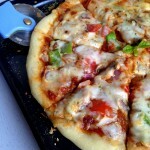 Poke the dough ball and if it bounces back, your dough is ready. Assemble: Once your dough ball has doubled in size, take it out and punch the air out of it. Knead lightly for a minutes and start rolling it out using a rolling pin. If at any point you feel that the dough is sticking sprinkle flour on it. Roll out the dough until it's about an inch thick and sprinkle grated cheddar cheese, salt, herbs, chilli flakes, salt and parmesan cheese on it. 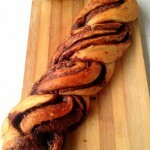 Roll in the dough and make a log (like a Swiss roll). Now start kneading the dough to make sure everything is incorporated properly in the dough. 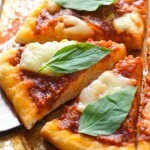 The cheese will fall out but simply tuck it in and knead again. Please knead with light hands. Once all the ingredients are safely tucked in the dough, form a ball and cut it into 6 equal pieces and start forming pretzel shapes. Once you've made the pretzel shapes, line them on a baking tray and brush them with egg or milk. Sprinkle salt, pepper, chili flakes on top and bake for 25 minutes at 180 degrees Celsius. To get a slight brown color on top. grill/broil the pretzels by turning on only the top grill for 5 minutes or until you have reached your desired color. Hahaha! 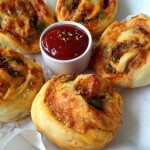 Trust me with these.. Just a regular bread dough with a fancy shape is what it is. You should try it! And get your boys to make shapes.. They’ll love doing it! I’m going to gave to give these a try. You pretzels look life a professional pretzel made them!. 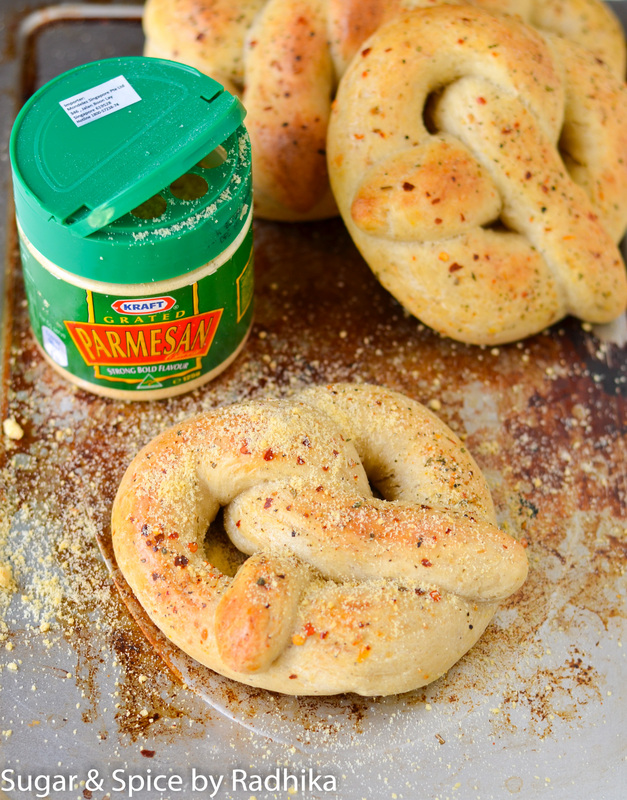 A pretzel making day sounds like a great idea! Yesss! 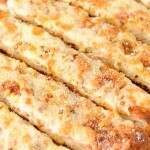 Pretzels are awesome but I’ve never made my own… your post kinda makes the idea seem achievable! Love the seasoning too. Nothing beats cheesy goodness with a bit of a chilli kick! I thought pretzels were difficult to make but guess what? They’re not! They’re seriously easy. Give them a try!